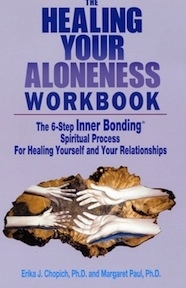 This workbook teaches the Six Steps of Inner Bonding® through many different exercises. Doing the exercises helps you to discover your wounded self, your core Self, your loving Adult, and your spiritual Guidance. Through doing these exercises, you can begin or strength your Inner Bonding process. "The [Inner Bonding] system of reparenting will supply you with the most loving, dependable, supportive friend you'll ever have - yourself. What a joy to know you're not alone anymore." "[Inner Bonding] is a profound process that teaches us how to be a loving adult to our inner child and to everyone else in our life."